Home » News Room » Welcome SmoothSkin Muse! Welcome the latest product to the SmoothSkin family: SmoothSkin Muse. Smart and powerful, just like you, SmoothSkin Muse delivers an IPL treatment tailored to you so you can have silky smooth skin that lasts so long you’ll never worry again worry about stubbly legs or prickly underarms! SmoothSkin Muse can be used to treat the legs, bikini line, underarms and face – a full body treatment takes less than 20 minutes. 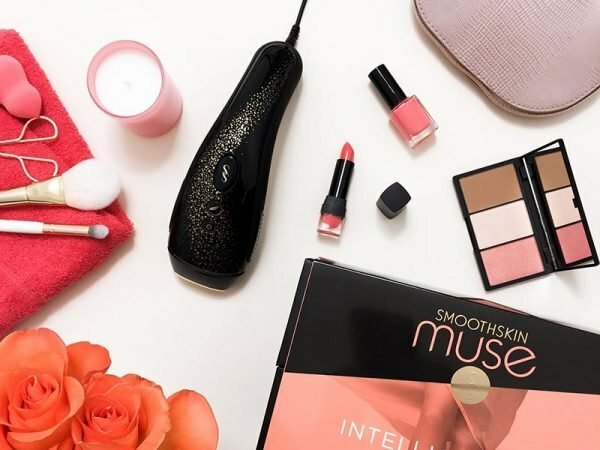 SmoothSkin Muse scans your skin before each flash an automatically selects the light intensity best suited to your unique skin tone – maximising your results, safely. As with all at-home IPL systems, you’ll need regular top-up treatments to stay hair-free once you complete your initial regime. SmoothSkin Muse’s extra power kicks regrowth to the curb, so you can go longer between sessions. SmoothSkin Muse adapts the treatment to your skin not just for enhanced results but for safety and comfort too. First-time user? Take it easy with gentle mode – also handy for those sensitive areas. A built-in UV filter prevents skin damage. You’ll never have to worry about running out of flashes, giving you incredible results to last a lifetime!